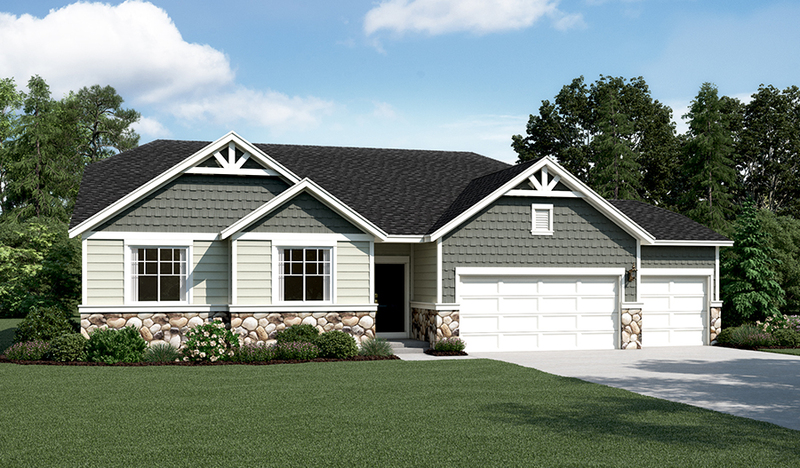 This ranch-style new home greets guests with a charming covered entry. Inside, you’ll find a private study, a central laundry, an open great room and a gourmet kitchen with a center island, double oven and adjacent dining area. An elegant master suite featuring a tray ceiling, expansive walk-in closet and deluxe bath with separate shower and soaking tub is separated from two additional bedrooms for privacy. An extended covered patio is perfect for relaxing and entertaining!